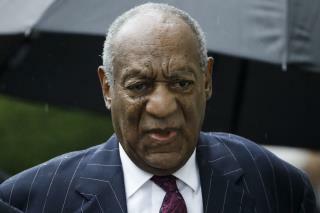 (Newser) – Bill Cosby's attorneys have been hard at work trying to overturn his sexual assault conviction, and their latest move in the appeals process spells out why they think their client should be freed—as well as temporarily freed while he's waiting on more permanent liberation. Per the AP and Reuters, lawyers for the disgraced comedian filed an eight-page appeals blueprint Tuesday that cites 11 alleged errors that took place during his trial, many revolving around Judge Steven O'Neill. Now don't get me wrong the man deserves punishment for what he did and he is rightfully being served punishment from it I prison. But the drone issue could be seen as a shot of Double Jeopardy. You can't try someone for the same crime twice that's a constitutional amendment and every legal united states citizen has those rights rather we like them or not. So I'm betting that the drone will not be allowed in a court room because it could be seen as unconstitutional. Looks like Chloe Goins may have Cosby by the ballz, literally! "Bill Cosby sexual assault video with 18 year old, uncovered." This guy deserves to be where he is. Stop appealing, he needs to suffer just like his victims.